« Love on Landing is .99 cents! Penne a la vodka also sounds so fancy when I see it on a menu. And I’m sure if you’re Italian and actually know how to make the real thing, it probably is a bit fancy. But I have a cheap, easy and super quick version that my family loves! It might not be fancy, but it’s definitely delicious! 2. 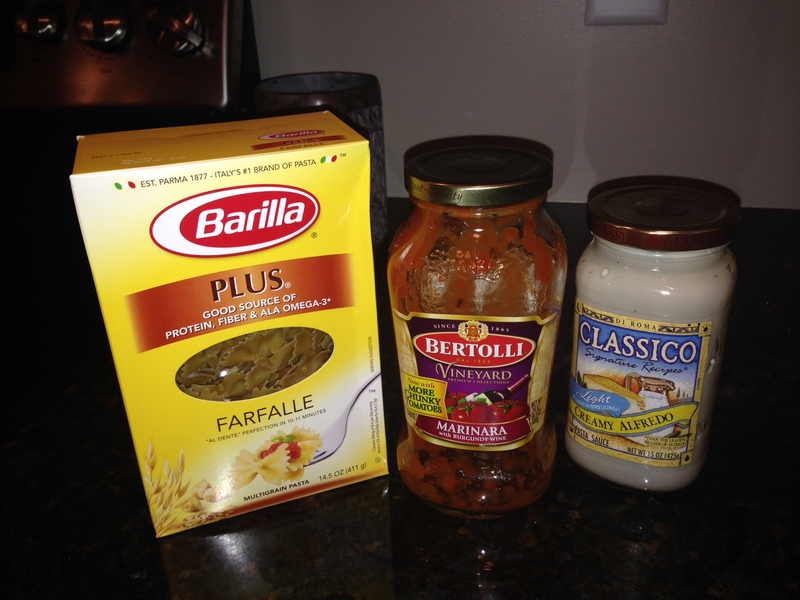 While pasta is cooking, combine both jars of sauce into one pot and heat, stirring often. 3. Toss cooked pasta with sauce, add cheese (to taste) and chopped cooked chicken breast if desired. 4. Serve as is or put into an oven safe dish, sprinkle with mozzarella cheese and bake at 325F just until cheese is melted. 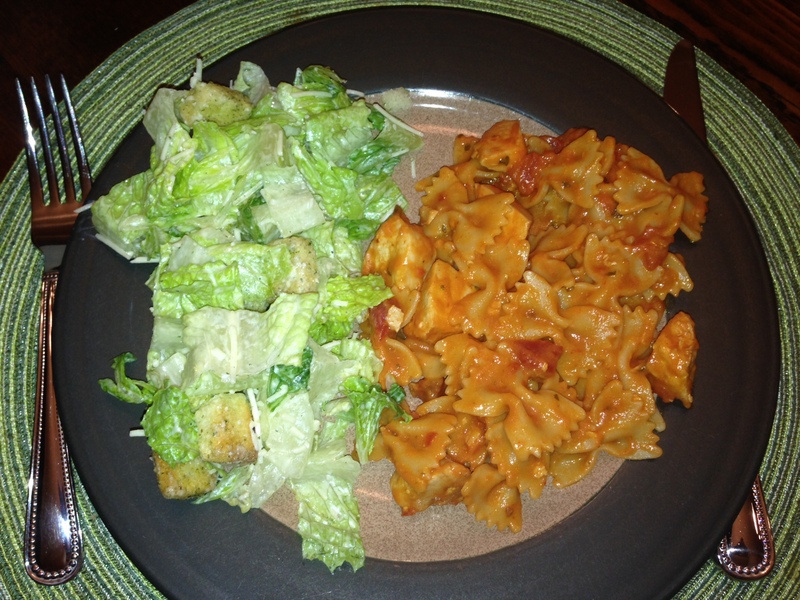 The finished dish, served with caesar salad. Happy New Year Heather! I hope 2014 is a good year for you and your family. This is one of my favorite meals. and it is so easy! Hi Eileen! Thanks for stopping by my blog. I hope you had a wonderful holiday season and are ready for the great things 2014 has headed your way!